Mitzvah (Hebrew: מצווה, "commandment"; plural, mitzvot; from צוה, tzavah, "command") is a word used in Judaism to refer to the commandments, of which there are 613, given in the Torah (the first five books of the Hebrew Bible) or any Jewish law at all. The term can also refer to the fulfillment of a mitzvah as defined above. Rabbis are divided between those who seek the purpose of the mitzvot and those who do not question them. The latter argue that if the reason for each mitzvah could be determined, people might try to achieve what they see as the purpose of the mitzvah, without actually performing the mitzvah itself. For example, the term mitzvah could be understood to express any act of human kindness, such as the burial of the body of an unknown person. The word "Mitzvah" is also used in the context of a coming of age ceremony for Jewish youth. The specific terms used are Bar Mitzvah (for boys) and Bat Mitzvah (for girls). According to Judaism, all moral laws are derived from divine commandments. The Rabbis extrapolated a total of 613 mitzvot or commandments from the Torah, which were to be followed by observant Jews. The number of these commandments represented "365 negative commandments like the number of days in the solar year, and 248 positive commandments like the number of bones in the human body" (Talmud, tractate Makkoth, 23b). According to the Midrash, all divine commandments were given on Mount Sinai, and no prophet could add any new one (Midrash Sifra to Leviticus 27:34; Talmud, Yoma 80a). However, Rabbi Ismael (90-135 C.E.) states that only the principal commandments of the 613 were given on Mount Sinai, the remainder having been given in the Tent of Meeting. According to Rabbi Akiva (c. 50–c. 135 C.E.) they were all given on Mount Sinai, repeated in the Tent of Meeting, and declared a third time by Moses before his death. According to tradition, of the 613 commandments, 248 are mitzvot aseh ("positive commandments" commands to perform certain actions) and 365 are mitzvot lo taaseh ("negative commandments" commands to abstain from certain actions). Three of the negative commandments can involve yehareg ve'al ya'avor, meaning “One should let himself be killed rather than violate this negative commandment,” and they are murder, idol-worship, and forbidden relations. According to the Talmud (tractate Makkoth 23b), a Biblical verse states that Moses transmitted the "Torah" from God to the Jewish people: "Moses commanded us the Torah as an inheritance for the community of Jacob" (Deut. 33:04). However, there were two commandments which God delivered directly to the Jews: the first two of the Ten Commandments; these are phrased in the first person. The Talmud calculates that the numerical value of the Hebrew word "Torah" is 611. Thus, Moses's 611 commandments combined with the two directly from God add up to 613. For a time, Gematria (numerology in the Hebrew Bible) was a significant feature in Jewish religious thought, and it was said that the number 611 (the numerical value for torah) was the number of commandments given via Moses while the remaining two were given by the Mouth of God Himself. Many Jewish [[philosophy|philosophical and mystical works (e.g. by Baal ha-Turim, the Maharal of Prague and leaders of Hasidic Judaism) find allusions and inspirational calculations relating to the number of commandments. Other works dispute that exactly 613 mitzvot exist. The tzitzit ("knotted fringes") of the tallit ("[prayer] shawl") are connected to the 613 commandments by interpretation: principal Torah commentator Rashi bases the number of knots on a gematria: the word tzitzit (Hebrew: ציצת (Biblical), ציצית, in its Mishnaic spelling) has the value 600. Each tassel has eight threads (when doubled over) and five sets of knots, totaling 13. The sum of all numbers is 613. This reflects the concept that donning a garment with tzitzit reminds its wearer of all Torah commandments. In rabbinic thought, God's will is the source of, and authority for, every moral and religious duty. In this way, the mitzvot constitute the divinely instituted “rules of conduct.” Consequently, while Judaism regards the violation of the mitzvot to be a sin, Jewish ideas concerning “sin” differ from those of other religions. The system describing the practical application of the commandments is known as Halakha or Jewish Law. Halakha is the development of the mitzvot as contained in the written law, via discussion and debate in the Oral law, as recorded in the rabbinic literature of the classical era, especially the Mishnah and the Talmud. Halakha dictates everything the traditionalist Jew does from the moment he or she wakes up to the moment they go to sleep. It is very extensive, and includes codes of behavior applicable to virtually every imaginable circumstance, as well as many hypothetical ones. More generally, in Judaism, it is viewed that proselytes, on being initiated into Judaism, must be familiarised with commandments both of great and of small importance (Yeb. 47b). Many of these laws concern only special classes of people, such as kings or the priesthood, Levites, or Nazarites, or are conditioned by local or temporary circumstances of the Jewish nation, as, for instance, the agricultural, sacrificial, and Levitical laws. That today we should observe the commandments, because we will not observe them in the world to come (Rashi). That in the future all sacrifices, with the exception of the Thanksgiving-sacrifice, will be discontinued (Midrash Vayikra Rabbah 9:7). That all sacrifices will be annulled in the future (Tanchuma Emor 19, Vayikra Rabbah 9:7). That God will permit what is now forbidden (Midrash Shochar Tov, Mizmor 146:5). There is no authoritative answer accepted within Judaism as to which mitzvot, if any, would be annulled in the messianic era. The Talmudic source is not without dissent. Apart from Rabbi Simlai (early third century C.E. ), to whom the number 613 is attributed, other classical sages who hold this view include Rabbi Simeon ben Azzai (Sifre, Deuteronomy 76) and Rabbi Eleazar ben Yose the Galilean (Midrash Aggadah to Genesis 15:1). It is quoted in Midrash Shemot Rabbah 33:7, Bamidbar Rabbah 13:15–16; 18:21 and Talmud Yevamot 47b. However, some held that this count was not an authentic tradition, or that it was not logically possible to come up with a systematic count. This is possibly why no early work of Jewish law or Biblical commentary depended on this system, and no early systems of Jewish principles of faith made acceptance of this Haggadah (non-legal Talmudic statement) normative. The classical Biblical commentator and grammarian Rabbi Abraham ibn Ezra denied that this was an authentic rabbinic tradition. Ibn Ezra writes "Some sages enumerate 613 mitzvot in many diverse ways [...] but in truth there is no end to the number of mitzvot [...] and if we were to count only the root principles [...] the number of mitzvot would not reach 613" (Yesod Mora, chap. 2). Nahmanides (1194 – c. 1270 C.E.) held that this counting was the matter of a dispute, and that rabbinic opinion on this is not unanimous. Despite this, he states that "this total has proliferated throughout the aggadic literature... we ought to say that it was a tradition from Moses at Mount Sinai" (Nahmanides, Commentary to Maimonides' Sefer Hamitzvot'', Root Principle 1). Rabbi Simeon ben Tzemah Duran states that "perhaps the agreement that the number of mitzvot is 613... is just Rabbi Simlai's opinion, following his own explication of the mitzvot. And we need not rely on his explication when we come to determine the law, but rather on the Talmudic discussions" (Zohar Harakia, Lviv, 1858, 99). Despite these misgivings, the idea that there are 613 commandments became accepted as normative in the Jewish community. Today, even among those who do not literally accept this count as accurate, it is still a common practice to refer to the total system of commandments within the Torah as the "613 commandments." However, the 613 mitzvot do not constitute a proper code of present-day Halakah; such codes are listed under codes of Jewish law. Sefer Hamitzvot ("Book of Commandments") by Maimonides, with a critical commentary by Nachmanides. Maimonides employs a set of 14 rules (shorashim) which determine inclusion into the list. In this work, he supports his specification of each Mitzvah through quotations from the midrash halakha and the Gemara. Nachmanides makes a number of critical points and replaces some items of the list with others. 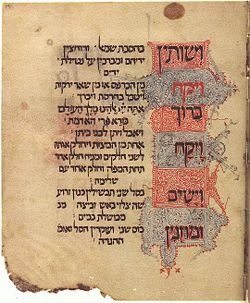 Sefer ha-Chinnuch ("Book of Education"). This work generally follows Maimonides' reckoning of the 613 commandments. It is written in the order in which the commandments appear in the Torah rather than an arrangement by category (as in Maimonides' work). In addition to enumerating the commandments and giving a brief overview of relevant laws, the Sefer ha-Chinuch also tries to explain the philosophical reasons behind the mitzvot. It has been attributed to various authors, most commonly Rabbi Aaron ha-Levi of Barcelona (the Ra'ah), though its true authorship is unknown. Sefer ha-Mitzvoth ha-Gadol ("Large book of Commandments") by Rabbi Moses ben Jacob of Coucy. Sefer ha-Mitzvoth ha-Katan ("Small book of Commandments") by Rabbi Isaac of Corbeil. This work was written in the form of a poem, divided into seven sections and intended to be read each week. While Isaac's work is fairly short, most editions contain lengthy commentaries. Sefer Yere'im ("Book of the [God-]fearing") by Rabbi Eliezer of Metz (not a clear enumeration). Sefer ha-Mitzvoth by Rabbi Yisrael Meir Kagan (the "Chafetz Chaim"). The Chafetz Chaim's work follows the reckoning of Maimonides but gives only the commandments relevant today (ignoring commandments regarding temple service, ritual purity, etc.). Though the original included only those commandments relevant in all places and at all times, later editions included agricultural laws relevant today only in the land of Israel. The reading of the Esther scroll on Purim. The divine command is considered implied in the general law (Deuteronomy 17:11, and 32:7; Shab. 23a). 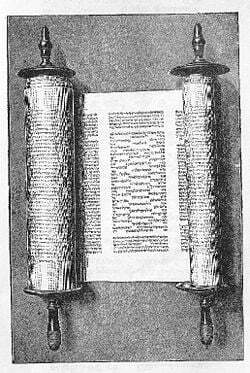 Many of the ideas concerning the implication of Biblical mitzvot are only derived via rabbinical interpretation; for example, the reading of the Shema (Deuteronomy 6:4-7), the binding of the tefillin and the fixing of the mezuzah (Deuteronomy 8-9), and the saying of grace after meals (Deuteronomy 8:10). The Covenant Code, which provides more detailed laws. The Priestly Code, containing extensive laws concerning rituals and more general situations is given from above the mercy seat in the Tabernacle, once the Ark and Tabernacle have been completed. This code is extended further when events occur not quite covered by the law, causing Moses to ask Yahweh for greater clarification. The Holiness Code is contained within the Priestly Code, close to the end, but is a distinct subsection placing particular emphasis on things which are holy, and which should be done to honor the holy. It also contains the warnings from Yahweh about what will occur if the laws are not followed, as well as promises for the event that the laws are followed. The Deuteronomic Code is remembered by Moses, in his last speeches before death, both covering the ground of prior codes, but also adds further laws not recorded earlier, which Moses has remembered. In biblical criticism, these codes are studied separately, particularly concerning their unique features. Nevertheless, many of the mitzvot enumerated as being from these codes are also present in others, sometimes phrased in a different manner, or with additional clauses. Additionally, themes, such as idolatry, sexual behaviour, ritual cleanliness, and offerings of sacrifice, are shared among all six codes, and thus, in more religiously motivated theological studies, it is often the case that the mitzvot are organised by theme rather than by the location in which they are found within the Hebrew Bible. Not to go into a trance to foresee events, etc. To separate the "tithe for the poor"
↑ The number 613 is attributed to Rabbi Simlai (early third century C.E.). Other classical sages who hold this view include Rabbi Simeon ben Azzai (Sifre, Deuteronomy 76) and Rabbi Eleazar ben Yose the Galilean (Midrash Aggadah to Genesis 15:1). It is quoted in Midrash Shemot Rabbah 33:7, Bamidbar Rabbah 13:15–16; 18:21 and Talmud Yevamot 47b. This page was last modified on 11 October 2018, at 15:54.